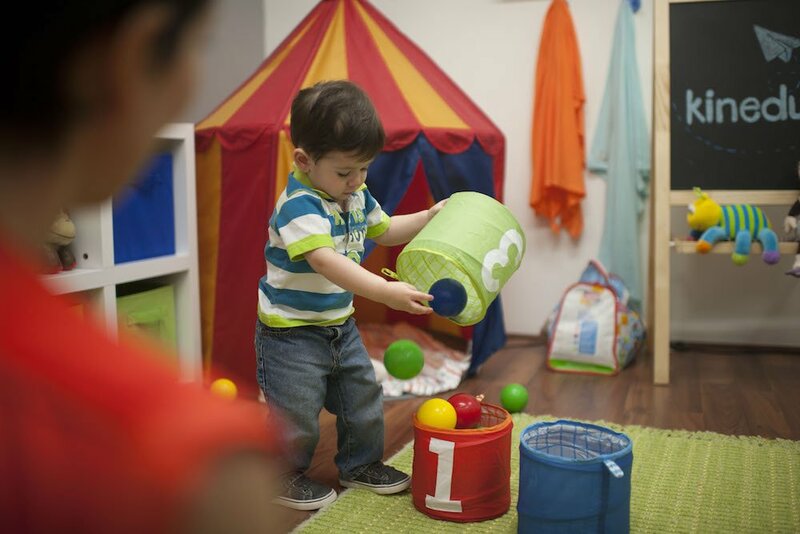 Teaching toddlers to play independently helps them build creativity and critical-thinking skills, and helps parents catch a break too! Independent play is important because it teaches children how to entertain themselves and helps them become more self-sufficient. This type of play usually occurs during the toddler stage. As a parent, you are your child’s first role model and the biggest influence in their lives. So what you do and say matters. A nice and well rested sleep is very important to restore our body and brain. Sleeping well is associated with a better mood, temperament, physical performance, and a positive attitude. Sleep is essential for our brain, since during this time it consolidates and organizes everything that happened in the day. In our children’s case, sleeping allows them to continue growing and to wake up full of energy, eager to keep learning and exploring their surroundings. Sleeping is very important for both adults and children. Sleep is essential for children. It helps them restore their energy for the upcoming day and it fosters physical and cognitive growth. When they sleep, children save energy, allowing them to gain weight and grow. Their vital organs also mature. Likewise, sleeping helps them wake up with enough energy to move, walk, learn, talk, and explore the world around them. Around this age, children normally need only a one-hour nap a day. This gives them more time to explore their surroundings and play during the day. According to the National Sleep Foundation, the ideal sleeping range for children that are 21-24 months old is between 11 and 14 hours a day. Some kids sleep more or less, however, experts don’t recommend children to above or below a 9-16 hour range. If you think your child is sleeping more than he needs, you can try shortening his naps and do a lot of activities to ensure that he receives enough stimulation during the day. On the other hand, if your little one sleeps less, try to strengthen his sleep routines and remember to have a nap before 4 pm. Sleeping well allows your little one to keep learning and stay active. Your child will receive a lot of stimulation and affection during the day, and, while sleeping, his brain will consolidate the moments and new findings. Remember not to worry too much about the precision of sleeping hours. It’s important to keep in mind the recommendations regarding hours of sleep, but remember that every child is different. 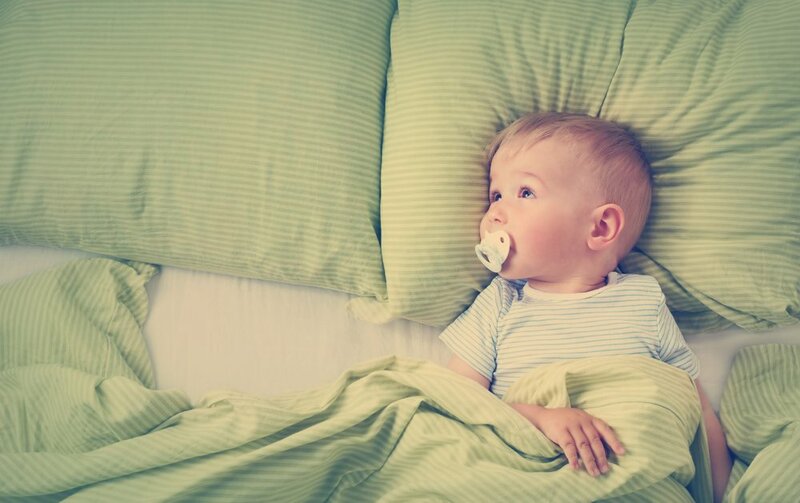 The best way to know if your little one is sleeping well is by noticing if he is happy and well rested, or if he is tired and irritable during the day. A nice and well rested sleep is very important to restore our body and brain. Sleeping well is associated with a better mood, temperament, physical performance, and a positive attitude. Sleep is essential for our brain, since during this time it consolidates and organizes the day’s events. In our children’s case, sleeping allows them to continue growing and to wake up full of energy, eager to keep learning and exploring their surroundings. Sleeping is very important for both adults and children. Sleep is essential for children. It helps them restore their energy for the upcoming day and it fosters physical and cognitive growth. When they sleep, the little ones save energy, allowing them to gain weight and grow. Their vital organs also mature. Likewise, sleeping helps them wake up with enough energy to move, walk, learn, talk, and explore the world that surround them. Around this age, children normally need only one-hour nap a day. This gives them more time to explore their surroundings and play during the day. According to the National Sleep Foundation, the ideal sleeping range for children that are 17-20 months old is between 11 and 14 hours a day. Some kids sleep more or less, however, experts don’t recommend to sleep above or below a 9-16 hour range. 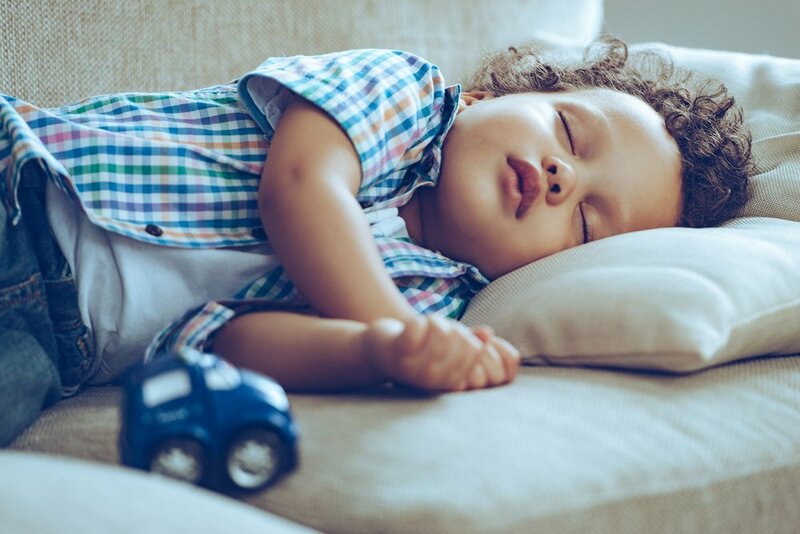 If you think your child is sleeping more than necessary, you can try shortening his nap to ensure that he receives enough stimulation during the day. On the other hand, if your little one sleeps less, try to strengthen his sleep routines. 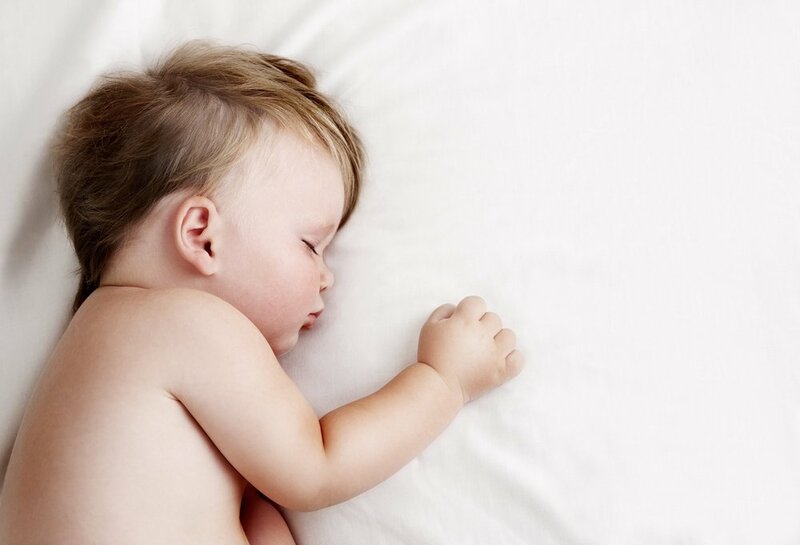 Sleeping is essential, as it helps strengthen your child’s immune system. Plus, he will be in a better mood during the day and will be more receptive to learn language, movement, and cognitive skills. 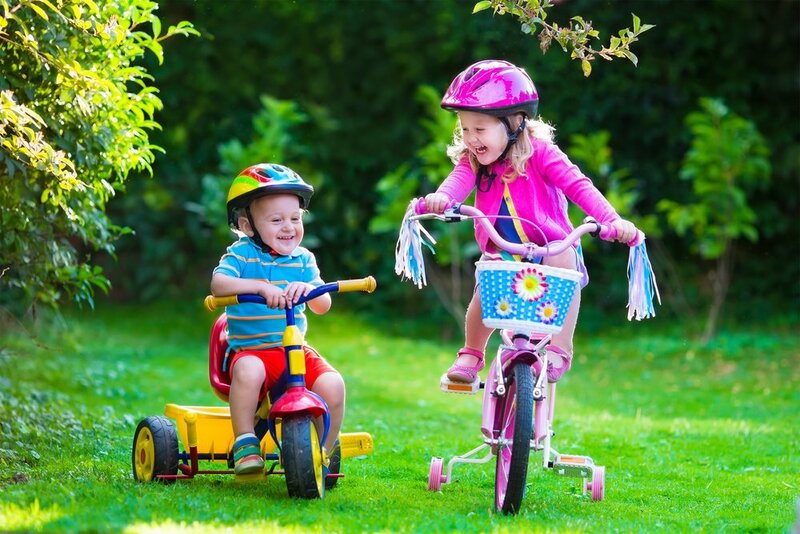 You’ll probably be chasing after your little one throughout the day; this is good because it means he has a lot of energy and will hopefully be tired for bedtime. Also, while sleeping, your little one will be reinforcing what he learned during the day, because the brain uses sleep to organize the day’s events. Sleep is essential for leading a healthy life. It allows our body to rest and maintain good mental and physical health. Sleep is essential for our brain, during this time it consolidates and organizes the day’s events. Similarly, adequate sleep hours allow us to go through different stages of sleep, achieving a restorative sleep. If sleep is extremely important for adults, you can imagine how important it is for babies that are still growing! Sleep is vital for babies. 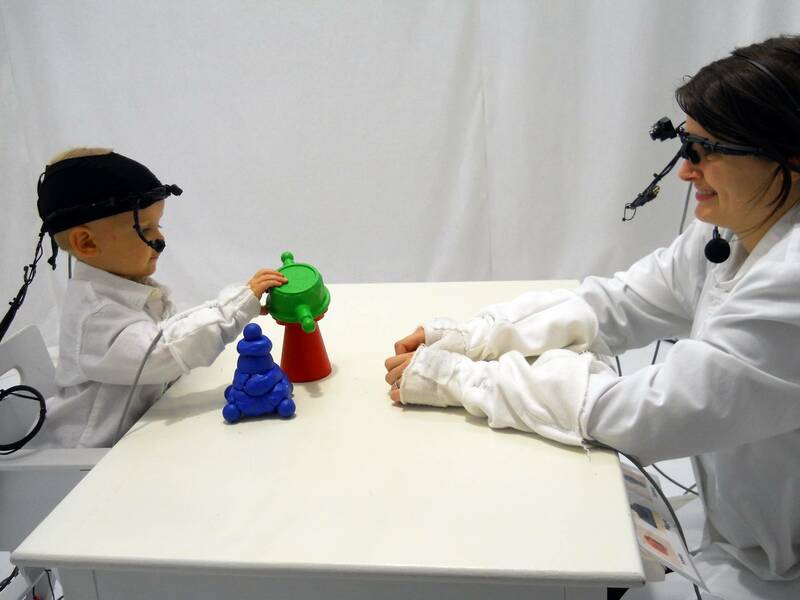 Their brains require it to develop properly and their bodies, to grow. When babies sleep, they restore their energy, their bodies release growth hormones, and they consolidate the day’s findings. Sleeping helps them to wake up ready to explore their surroundings with enough energy to move and crawl around. It also helps them to be happy and in good spirits! 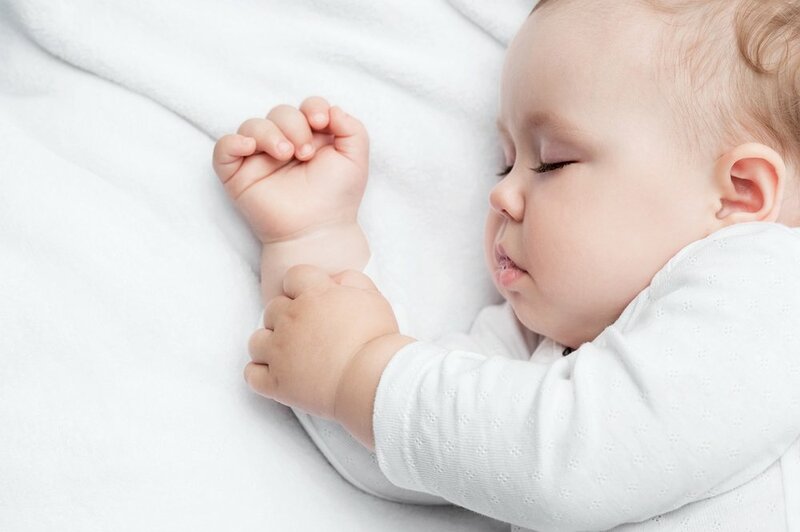 According to the National Sleep Foundation, the sleeping range for babies that are 10-12 months old is between 12-15 hours. Some babies sleep less, between 11-13 hours, and others more, up to 19 hours a day. However, experts don’t recommend that your little one sleeps above or below this 11-19 hour range. If your child is sleeping more, you can try shortening his naps so that he receives enough stimulation during the day; if he sleeps less, try to emphasize his sleep routine. Keep in mind that only after the first year, the recommended hours of sleep are 11 to 14 hours a day. Sleep is essential for having a healthy life. It allows our body to rest, and maintain good mental and physical health. Sleep is essential for our brain, during this time it consolidates and organizes the day’s events. Similarly, adequate sleep hours allow us to go through different stages of sleep, achieving a restorative sleep. If sleep is extremely important for adults, you can imagine how important it is for babies that are still growing! Sleep is vital for babies. Their brains require it to develop properly and their bodies to grow. When a baby sleeps, he saves energy, allowing him to gain weight faster and have a healthy development. Also, his organs mature and his immune system grows stronger to protect him from diseases and infections. According to the National Sleep Foundation, the ideal sleeping range for babies that are 7-9 months old is between 12-15 hours. Some babies sleep less, between 11-13 hours, and others more, up to 19 hours a day. However, experts don’t recommend that your little one sleeps above or below this 11-19 hour range. Sleeping less than recommended deprives their bodies of the rest and the benefits provided by sleep. When your baby sleeps, he is recharging the energy necessary to crawl, move, sit, eat, and explore his surroundings. On the other hand, sleeping more doesn’t allow babies to get the proper food and stimulation needed in a day. Sleeping well is extremely important. It is essential for our body because it allows us to rest and maintain good mental and physical health. Rest helps our brain work at its optimum level. It helps us be alert, learn, and concentrate during the day and consolidate what we learned, forming memories during the night. Sleeping well also lowers our stress levels, letting us live healthier lives. 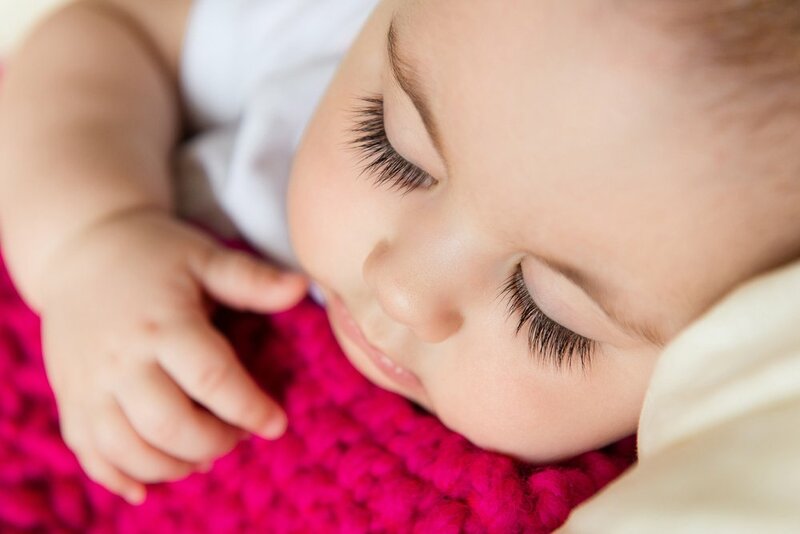 If sleep is extremely important for adults, you can imagine how important it is for babies! Around the fourth month, a baby’s circadian rhythm is consolidated. If you are consistent with routines, your baby will learn to differentiate between day and night. The hours a baby sleeps at night increase slowly, but they still need naps during the day. In fact, sleeping during the day and sleeping at night are interdependent, because the amount of hours a baby sleeps during the day affect sleep at night. During the day, babies should sleep a minimum of two naps of 1 or 2 hours. There are children who even sleep three naps! The morning nap is regularly set 1 hour and half or 2 hours after waking up, while the midday nap is usually around 1:00 or 2:00 pm. The time you choose for each nap is not that important, but what is important is sticking to a fixed sleep schedule. That way, your little one will anticipate his sleep hours. You can create your own short pre-sleep routine, like having a feeding or reading a book, followed by putting him in his crib, and slightly turning down the bedroom lights. According to the National Sleep Foundation, the ideal sleeping range for babies that are 4-6 months old is between 12-15 hours a day. If your baby sleeps a bit less, like around 10-11 hours a day; or a bit more, around 16-18 hours, it is fine. However sleeping more or less time than those ranges is not recommended. A long overnight sleep allows your baby’s brain to go through the different stages of sleep, needed to have an optimal development. When your baby sleeps, the brain processes all the information received during the day and helps him learn. He will eventually reach a restorative sleep, and he’ll wake up happy and rested. Sleeping less or more hours during the day affects him too. If he sleeps less, then he will probably be overstimulated, and this will make it even more difficult to get some sleep during the day. On the other hand, if he sleeps a lot during the day, he won’t do so at night. Therefore, try to establish fixed sleep schedules to help your baby sleep 2 or 3 naps during the day and sleep through the night.